Hand illustrations combining retro Japanese culture and modern technology by Brazil-based design studio Ilustrata Design. 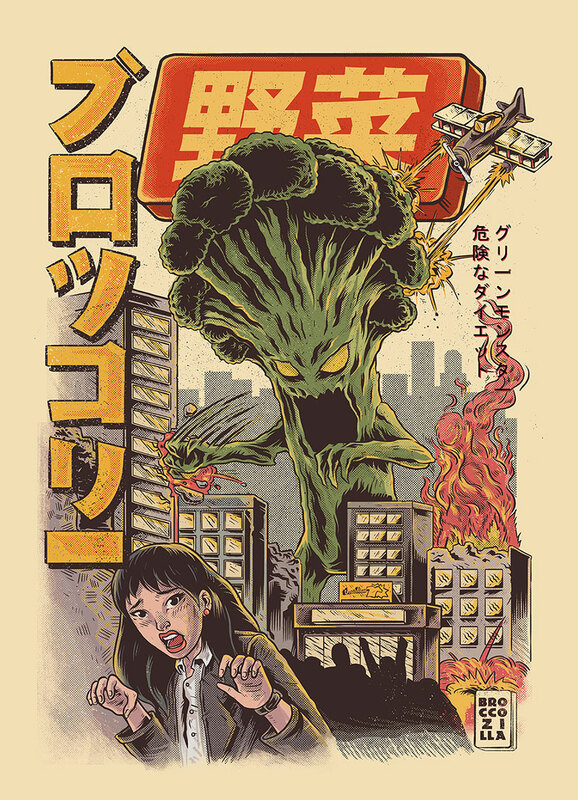 They call themselves "lovers of Nankin, Japanese culture and retro visual" using Photoshop to add final touches and a nostalgic color scheme. 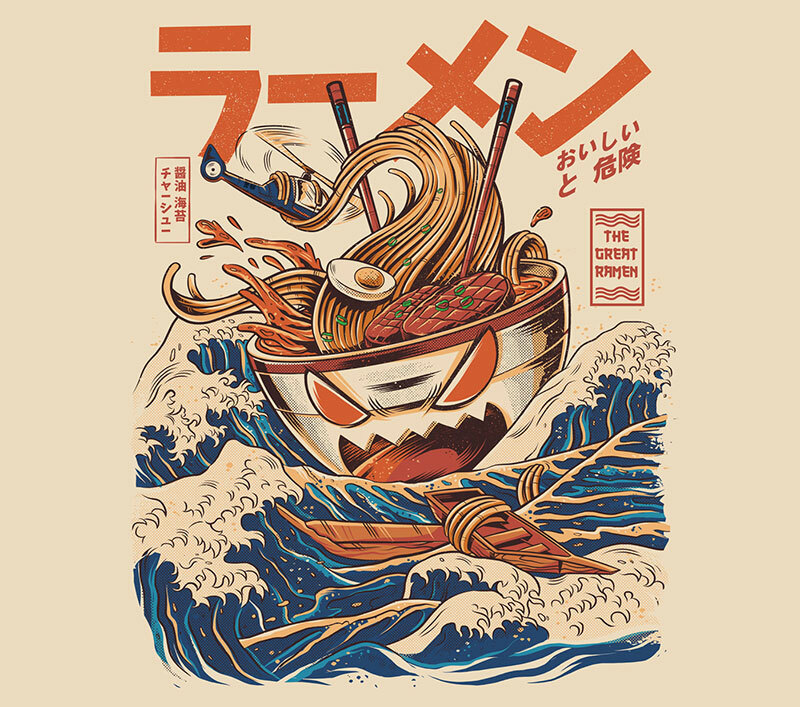 The illustrations are inspired by artists such as Hokusai's The Great Wave off Kanagawa, in which they added a ramen monster attacking a helicopter, or a mashup of broccoli and Godzilla which they call Broccozilla. 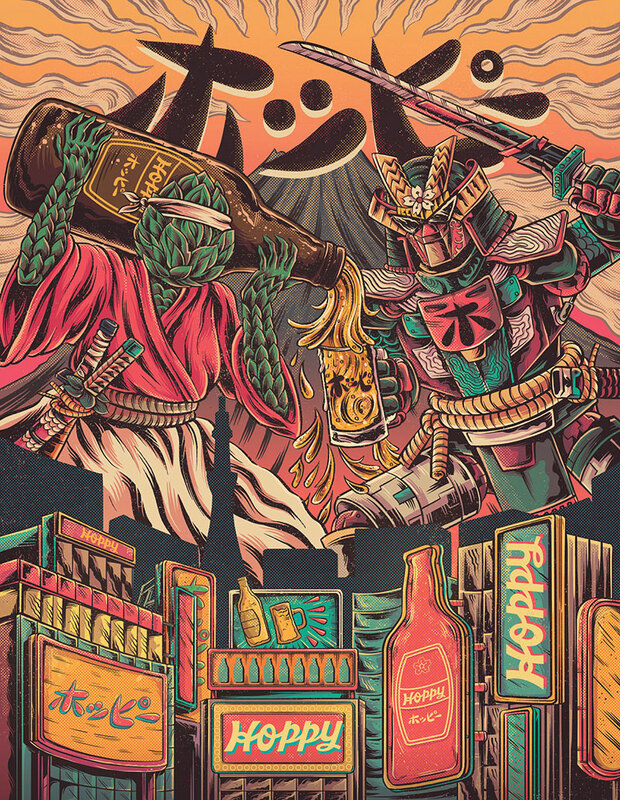 The bottom illustration is a hop kaiju and a robot drinking together to represent Tokyo as a city of the past and future. See more of Ilustrata Design's work on Behance. Hand illustrations combining retro Japanese culture and modern technology by Brazil-based design studio Ilustrata Design.